The DIGITAL IMAGING GROUP (DIG) is an organization for active photographers who want to learn and stay current with all things related to digital photography. We meet as a group once each month for presentations and demonstrations regarding digital image processing products and techniques and to show prints and books created by members. We also conduct smaller Special Interest Group (SIG) sessions apart from our monthly meetings to explore particular topics in more depth. We use a separate, private Internet service called MEETUP for all club communications. Our MEETUP site is accessible only by DIG members. Our monthly meetings are held at the ASU (Arizona State University) 1363 Scottsdale Rd., Scottsdale, AZ 85257, in the 'Global Conference Room' located on the 2nd floor at SkySong. See location information and the map below. 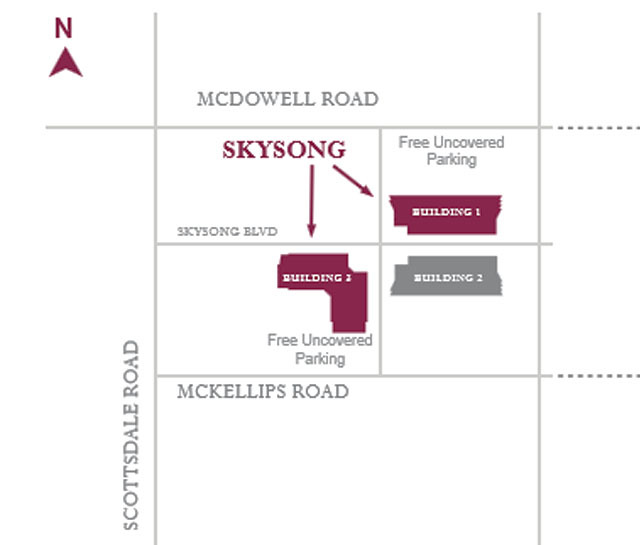 The building at 'SkySong' where the meeting is held is Building 1, at 1475 North Scottsdale Road. Parking is available on the north side of the building. Probably the best access is from 74th Street -- turning south on McDowell onto 74th Street, then taking the very first driveway on the right immediately after the Chase Bank.